Cape Elizabeth Lighthouse is Portland Head Light. 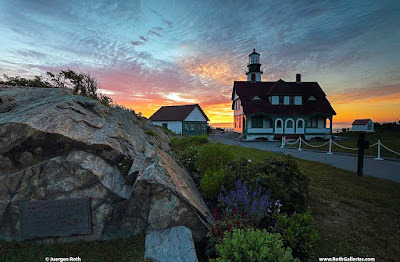 This iconic New England landmark is located at Fort Williams Park on Cape Elizabeth just minutes away from Portland Maine. There are reports that this lighthouse is the most photographed lighthouse in America and that is for good reasons. It's spot is extremely picturesque and it towers above the swirling Atlantic Ocean on spectacular cliffs and rock formations. I love photographing here at sunrise but sunset provides great photography opportunities to. 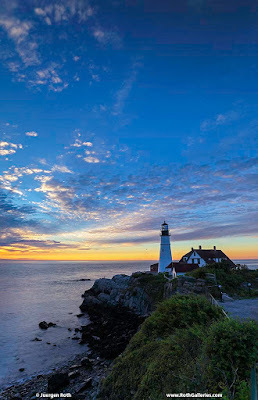 Make sure to capture the Maine seascape photography scenery with your wide angle lens but also consider more intimate view of the lighthouse. 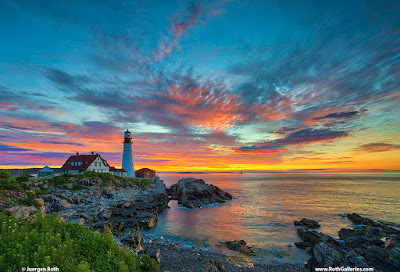 Learn more about lighthouse photography from my Photo Magazine Article.